Also available in the complete 7 Volume collection set. The nineteenth century in Europe was a time when the Romantic spirit took hold of all the arts: creators of literature, poetry, music, and aesthetic philosophy initiated explorations that transformed the world. In music, the works of Franz Schubert, Robert Schumann and Johannes Brahms best embody that spirit. 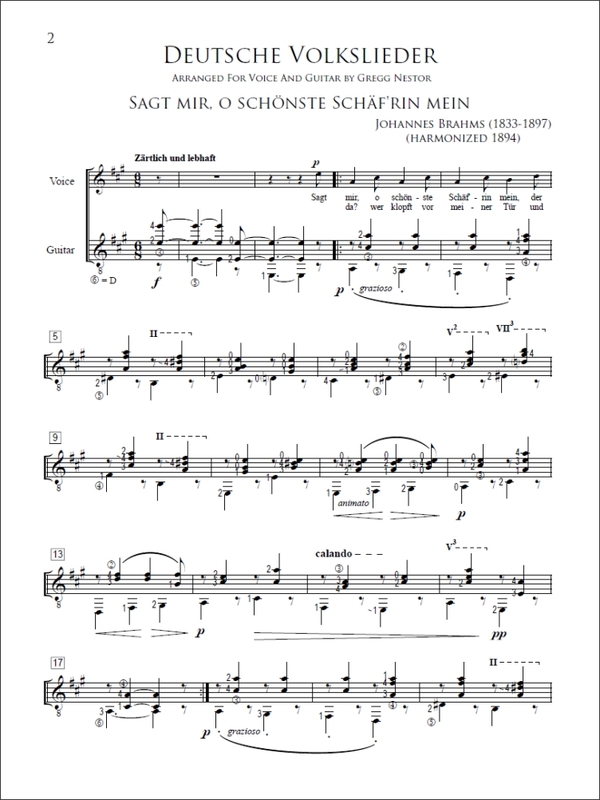 These three German composers in particular wrote numerous songs and song cycles that many feel represent a ripening and perfection of a particular style, that of the German lied. 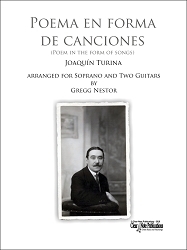 Typically scored for voice and piano, these works fuse music with poetry in an elevated and imaginative way that embodies the Romantic sentiments of their times. 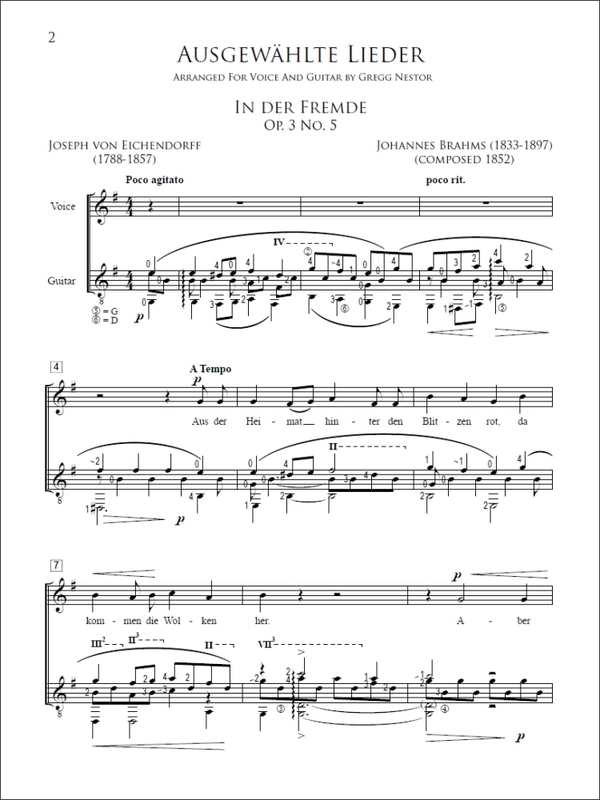 Through the lieder of Schubert, Schumann and Brahms poetic qualities such as individual yearning, romantic love, and fanciful evocations of nature are perfected into an enduring musical art form that remains popular with vocalists through the ages. We speculate that if today’s concert level guitars had been available to Romantic era composers, with their richer palette of subtle sounds, greater volume, and vastly improved intonation, the guitar might well have played a more prominent role with these composers. Classical guitar embodies many of the Romantic ideals: its intimacy, color, and evocative possibilities are a perfect fit for the German lieder found in this expansive collection. 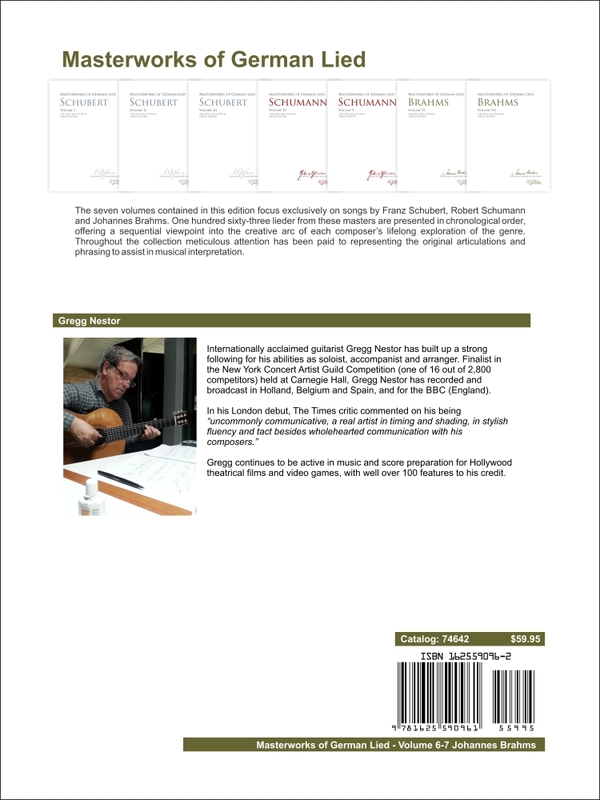 The seven volumes contained in this edition focus exclusively on songs by Franz Schubert, Robert Schumann and Johannes Brahms. 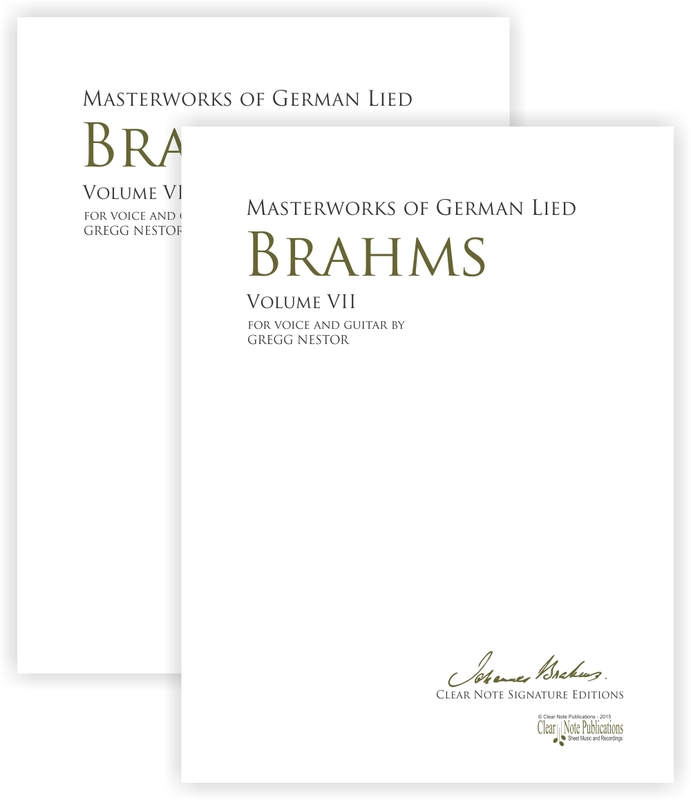 One hundred sixty-three lieder from these masters are presented in chronological order, offering a sequential viewpoint into the creative arc of each composer’s lifelong exploration of the genre. 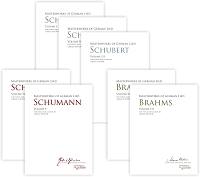 Throughout the collection meticulous attention has been paid to representing the original articulations and phrasing to assist in musical interpretation. Among these three composers only Schubert actually played the guitar. He also composed for the instrument, and several of his songs were originally published with alternate guitar accompaniment. Neither Schumann or Brahms are known to have played guitar, but Viennese musical society of that time, at the highest levels and within the middle class, loved guitar and many played it. The iconic nineteenth century composer and guitarist Mauro Giuliani, an acquaintance of Schubert, is said to have sung some of Schubert’s vocal works, and played music “past midnight” on occasion with Schubert and other musicians. 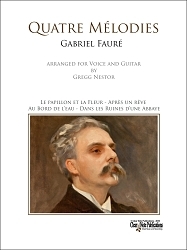 With the publication of this treasury of German lieder, expertly arranged for voice and guitar by Gregg Nestor, today’s vocalists and guitarists have the opportunity to study and perform the largest collection of these exquisite Romantic masterpieces to date.